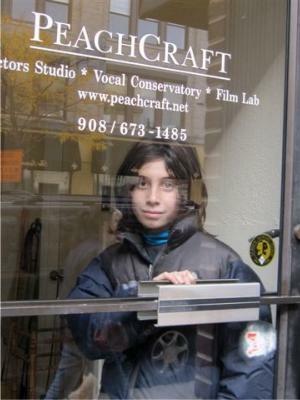 Established in 2005, PeachCraft Studios of Drama, Voice & Filmmaking (PDVF) has built an outstanding reputation, and in a short time, has steadily become one of the most renowned studios to offer professional training for actors, vocalists, dancers, musicians and filmmakers. Kate Kennedy, Director and Master Coach of the Michael Chekhov technique for actors, built PeachCraft in order to open a creative space to engage talented artists in professional, rigorous and complete Artist Development Workshops. The studio location in Summit, NJ, only 30 minutes to Manhattan, has 14 working actors' movement and voice studios, a large ESF sprung wood floor for dance and a complete state-of-the art ProTools Film Lab for filmmaking. The professional faculty at PDVF have strong links to the industries and institutions that employ and educate our students. PeachCraft Studios of Drama, Voice & Filmmaking maintain a philosophy of good spirit and positive energy flow with clear commitments from healthy and creative individuals to become part of an ongoing ensemble of performers, writers and filmmakers maintaining mutuality, honor and respect. REGISTER NOW FOR FALL WORKSHOPS IN DRAMATIC ARTS, CREATIVE VOICE, DANCE AND FILMMAKING! Workshops fill up very quickly so don't wait to apply! and the new SCREENWRITING WORKSHOP! All faculty are Professionals working in the industry on film, television, commercials and stage. 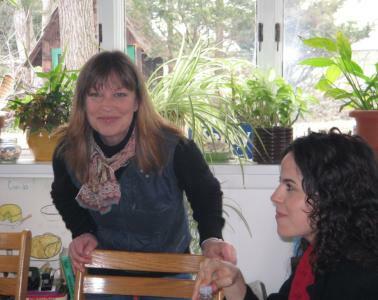 Their careers combine teaching and performing. Call to schedule interview now! The Actors Studio, Founded in 2005, offers student artists a solid foundation in the classic techniques of Stanislavski, Michael Chekhov, Stella Adler combined with a Modern Technique developed by Kate Kennedy’s 20 years as a Casting Director in the Feature Film and Major Network Television Industry, Los Angeles. 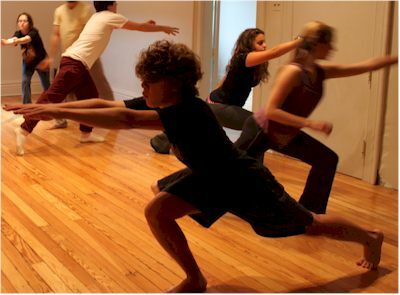 The techniques taught at PeachCraft inspire the performer to trust their creative instincts in order to gain the skills necessary for a career on the stage, film and television. Since PeachCraft's debut workshop in fall 2005, Actors trained in the specific techniques have gone on to book professional leading and supporting roles on Broadway & Off-Broadway, Major & Independent Feature Films, Episodics, Pilots, MOWs, National SAG Commercials as well as leads in their school plays! Class limit 12; ages 8 through adult. 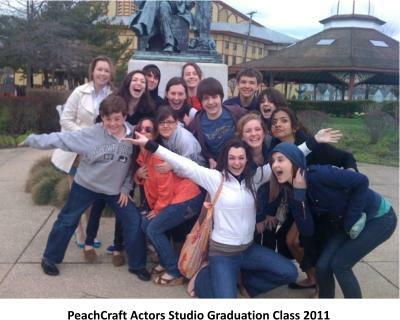 Click here to go to PeachCraft Actors Studio Programs. The Voice Studio and Conservatory Programs engage the student artists in exploring and expanding their musical experience through classic and modern vocal techniques. The FrameWork of the training focuses directly on the techniques used to release tension so as to create natural, relaxed organic breath flow. The expert faculty concentrate on the artist-in-training's senses of freedom and ease in order to transform the voice into beautiful sounds! Entrance is by interview and entrance is at the discretion of the Directors. Click here to go to PeachCraft Vocal Conservatory Programs. The PeachCraft Film Academy offers an exciting and innovative approach to the process of filmmaking allowing the young artists to explore and implement an acquired skillset from story concept, to writing the screenplay, casting the actors, scouting locations, building sets, cinematography, directing, producing, editing and finally, distribution. PeachCraft's Film Lab was built by professional filmmakers with long A-list histories of directing, producing, casting, cinematography and editing for DreamWorks, Paramount, Disney, Miramax, The Weinstein Company, New Line Cinema, as well as working alongside the actors Tom Hanks, Drew Barrymore, Whoopie Goldberg, Johnny Depp, Mary Louise Parker, Jody Foster, Mike Myers, Seth Green, Will Ferrell, Jack Nickelson, Robin Wright, Denzel Washington, Steve Martin, just to name a few. The creative hard work of the PDVF Film Academy is exemplefied by their acceptance into the prestigious Garden State Film Festival. Applications are now being accepted for Summer 2011. Class size limited to 10. Kate Kennedy filming on set of 'Veronica's Trip' with Tony Jannelli. Parents are responsible for the safety of their children while entering and exiting the building.